Corporate Solutions results were significantly impacted by natural catastrophe events. 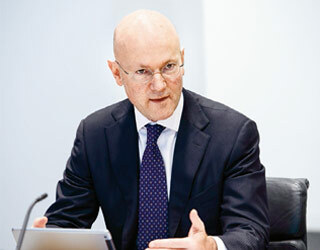 Swiss Re strengthened Corporate Solutions’ capital position, underlining the Group’s commitment to the business and its long-term strategy. Corporate Solutions continued to make progress on its strategy with investment into its Primary Lead capabilities and further broadened its footprint. In July 2017, Corporate Solutions finalised the previously announced transaction and began its joint venture with Bradesco Seguros S.A. in Brazil – now one of the leading large-risk insurers in the country – to bring our innovative product offering to an even wider segment of mid-sized and large corporate clients. Corporate Solutions is now concentrating its efforts on the integration of Bradesco’s large-risk portfolio and leveraging its established distribution network. During 2017, the Business Unit opened offices in Kuala Lumpur, Malaysia and Manchester, United Kingdom, focusing on servicing large and mid-sized companies in these countries. Net loss was USD 741 million in 2017, compared to net income of USD 135 million in 2016, with a net operating margin of –23.5%, down from 4.2%. The 2017 result was significantly impacted by higher large natural catastrophe losses, which amounted to USD 1.0 billion, and continued pricing pressure throughout most of the year. The investment result was higher in 2017 compared to 2016, driven by net realised gains mainly from the sale of equity securities. Net premiums earned were USD 3.7 billion in 2017, an increase of 4.2% compared to 2016. The increase was driven by organic and inorganic growth across most lines of business. Gross premiums written and premiums for insurance in derivative form, net of internal fronting for the Reinsurance Business Unit, remained broadly unchanged at USD 4.1 billion in 2017. The expansion into Primary Lead compensated for declining rates in the excess layer segment. The combined ratio increased to 133.4% in 2017 compared to 101.1% in 2016, due to the large natural catastrophe losses, mainly driven by hurricanes Harvey, Irma and Maria in the third quarter of 2017. The Property combined ratio for 2017 deteriorated by 89.6 percentage points to 174.0%, reflecting the impact of the above-mentioned hurricanes, Californian wildfires, the earthquake in Puebla, Mexico and tropical Cyclone Debbie in Australia earlier in the year. The Casualty combined ratio increased to 122.0% in 2017 compared to 115.9% in 2016. Both periods experienced large liability losses in North America. The majority of the large losses reported in the current period occurred in 2015/2016. The magnitude and responsibility for these losses were only established in 2017. The Specialty combined ratio for 2017 decreased slightly by 0.6 percentage points to 101.6%. 2017 was impacted by higher marine and engineering losses due to the natural catastrophe events and a large aviation loss. The credit and surety portfolio returned to technical profitability. The return on investments was 3.4% for 2017, compared to 2.5% in 2016, reflecting an increase in the investment result of USD 86 million, stemming from higher net realised gains. Net investment income increased by USD 25 million to USD 183 million for 2017, mainly due to additional income from government bonds, partially driven by a higher asset volume. Net realised gains were USD 118 million compared to USD 57 million in 2016, reflecting additional gains from sales of equity securities. Insurance-related derivative results and foreign exchange gains/losses are not included in the investment figures. Corporate Solutions offers insurance protection against weather perils and other risks, which is accounted for as derivatives. Insurance in derivative form reported net realised gains of USD 12 million in 2017, compared to USD 16 million in 2016, reflecting the impact of the unseasonably mild winter in both periods and the extremely cold weather in the US at the end of 2017. Common shareholdersʼ equity increased by USD 0.2 billion to USD 2.4 billion at the end of 2017, due to the Group’s injection of USD 1 billion capital in the fourth quarter, partially offset by the net loss for the period and a dividend of USD 150 million paid to the Group in the second quarter of the year. The return on equity was –32.2% in 2017, compared to 6.0% in 2016. Prices for commercial insurance have been under significant pressure in the past years, with a majority of segments operating at unsustainable rate levels since 2015. 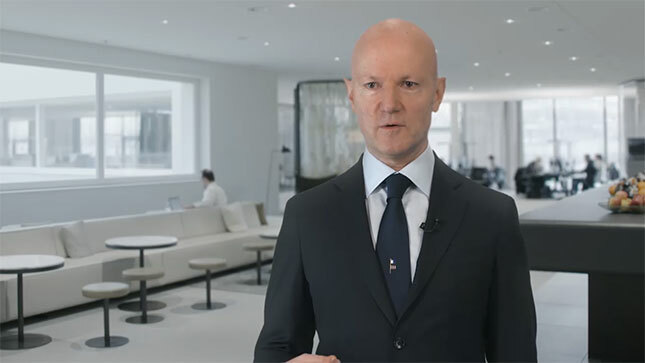 We expect a medium-paced, steady increase of prices over the next 12 to 18 months following the recent natural catastrophe events, with most pronounced increases in property in the US and a reinforced focus on terms and conditions. Corporate Solutions will maintain its commitment to underwriting discipline.